A billing service that does not bill the sessions accurately, misses timelines, or does not do enough follow-up can have a disastrous effect on your business; however, a well-run billing service can ease your life and greatly improve both your cash inflow and total income. A competent billing service drives positivity in your practice and in your life. This positivity enhances your patient seeing hours or some better creativity hours that are lost behind submitting bills and waiting for refunds. A billing company doesn’t leave a single penny uncollected to provide unprecedented boost and control in your cash flow. MDofficeManager provides the best combination of services to make physician work flawless. Our highly experienced and professional staff handles end-to-end billing needs. 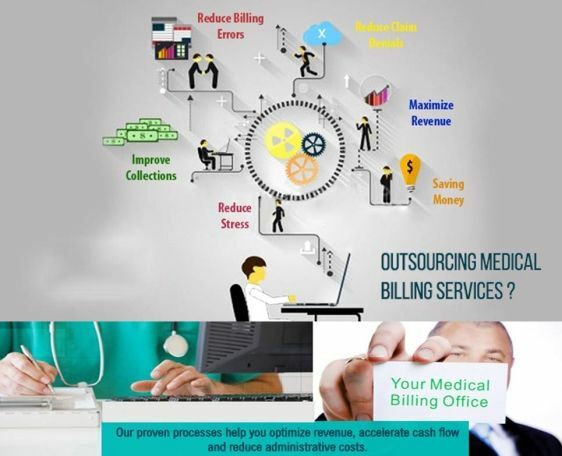 For billing to be handled professionally, accurately, and thoroughly, MDofficeManager will be your right choice. A physician providing care for the patient and managing revenue simultaneously is not an easy proposition. Certain aspects become hard to manage like scheduling appointments, following unpaid claims, etc. At MDofficeManager, we also vacate you from keeping up with all the regulations and procedures in ever-changing industry standards. How can one find the difference between a fly-by-night medical billing company and a billing company to which they can hand over their patient’s medical information with confidence? If they know the criteria by which to judge a medical billing service, they’ll be able to select a company that will significantly decrease their time spent on billing issues and increase their time spent on patient care. Reporting and analysis. What reports would be provided? Frequency of reports? Reports on demand? ICD-9, CPT-4 & HCPCS Coding. HIPAA and Office of Inspector General (OIG) Compliance. Insurance claims and billing, appeals and denials, fraud and abuse. How will super-bills and claims be shared? How does billing service fit with the provider’s EHR strategy? Does the service have an integrated EHR? What are the procedures for disaster recovery? Where and how is the storage of backup data? Will a provider need to install and maintain software or would they be accessed online? What about compliance of HIPAA? By choosing a medical billing service that integrates with a provider’s EHR (or provides their own EHR) this gap can be closed even more. Percentage-based: The service will charge a percentage of collections or they will charge a percentage of gross claims submitted or total collections. Fee-based: With this model, the billing services charges a fixed dollar rate per claim submitted. Hybrid: With this model, the billing service charges on a percentage basis for certain carriers or balances and charges a flat fee for others. Huge volume of dollars are moved from one account to another and pricing is critical, as well as a social responsibility. Θ Check In & Check Out. Θ Post & Apply Payments. Our billing services have the capability to submit claims electronically, which has become the norm for claims submission. Online claim management means on demand access to your detail just a click away that is quick, easily manageable, secure compared to paper. However, keep in mind, that some of the smaller insurances and HMOs do not accept electronic submissions at this time, so some claims will still be submitted on paper. MDofficeManager offers several different options for you to submit demographic and claims information to us. Most of our customers prefer to enter their data directly into our web-based MDofficeManager PM system. Providers will dictate or use our EHR system to complete patient note. Our AAPC certified coders will review the documentation and complete coding. If it is required, they will educate providers for better documentation to comply with regulations. We then extract the information needed to submit the claim without you having to do anything further. We also offer other option for customers who do not want to do any data entry themselves. We follow up on all claims to be sure that they are received in a timely manner and paid. Since the vast majority of claims are submitted electronically, we have immediate confirmation of claims receipt, and if there are any issues with a claim, we know about it quickly. We follow up immediately on any claims that are rejected, denied, or underpaid, or on any claims where there has been no response from the insurance company. You don’t have to worry about claims follow up, tracking specific claims, etc. MDofficeManager works with your practice to design a system where your office will get us the information we need to do your billing in the fastest, most accurate way possible. We bill out your claims and follow up to make sure they get paid.